I have thrown a lot of parties in my life and honestly most of them have been pretty successful. I started out booking punk bands in highs school before moving on to managing bands and helping throw the occasional dance party. When I moved to NYC I decided there was too much competition to spend that kinda energy but I have thrown a couple parties a year for the last decade or so anyway. Out of the probably hundreds of events I have thrown or helped thrown I can only think of a handful that were disasters so I think over all I have had a pretty solid party throwing career. 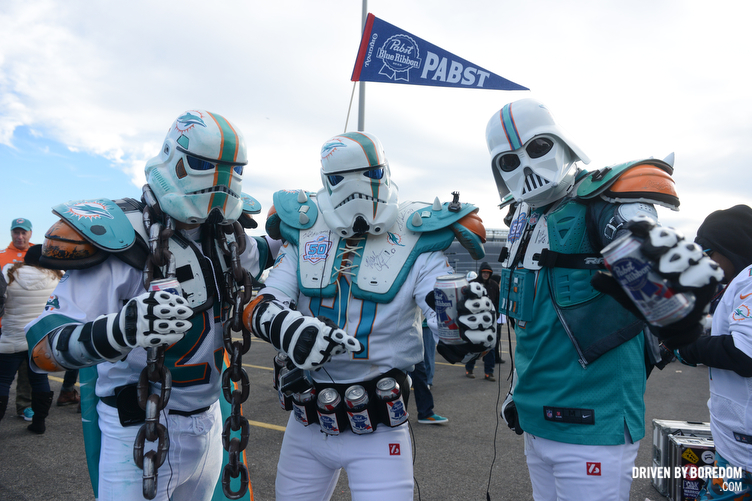 All that being said, nothing compares to the #MetLifeTakeover. 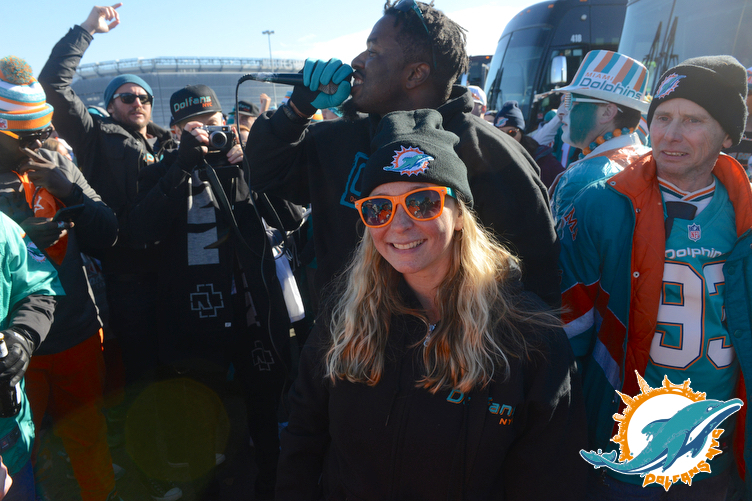 For the last five or six years my Dolfans NYC partner Michelle and I have been throwing massive group trips to the Dolphins/ Jets game every year when the Dolphins come up to New Jersey. It really started with a loosely organized group in 2010 before getting a pretty serious group of about 70 in 2011. In 2012 the name #MetLifeTakeover was born and things really took off with about 200 people gathered the day before Hurricane Sandy hit. In 2013 the Jets ticket sales people took notice and actually started helping us organize a much bigger purchase when we had 750 people sitting together! 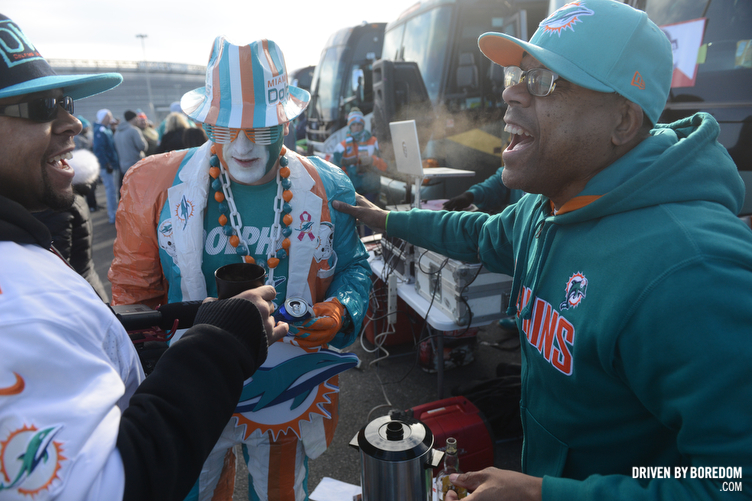 Last year we hit our all time record with 1200 Dolphins fans sitting together across four sections. This year we only had 900 because of the Thanksgiving holiday (Okay, the real reason is because the Dolphins are terrible) but we threw our biggest tailgate party yet with catered food, drink sponsors and music care of DJ Tropic and Solo D. We also threw a party the day before the event at our bar Slattery’s and raised about $5000 for charity over the two days not including the money we made from ticket sales. 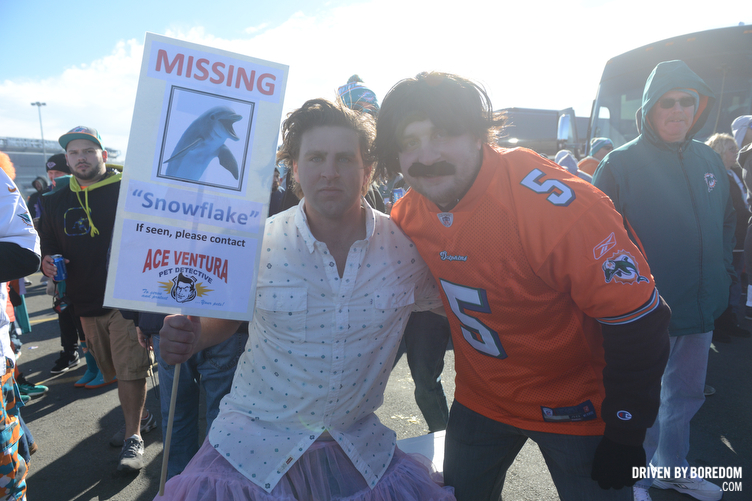 The Dolphins got embarrassed on the field (although our record is still pretty good as our last loss in New Jersey came in 2o11) but we had a hell of a time off it and even at the end of the game you could still hear us loud an clear when the Dolphins scored a garbage time touchdown with 5 seconds left. Aside from the game everything was amazing and I actually think you might dig looking at the photos even if you don’t care about sports. Fandom is always fun to lurk. But before I get to that I just wanted to thank our sponsors Pabst Blue Ribbon, Sailor Jerry & AquaHydrate. Taking photos of drunk people for a living sometimes has it’s benefits and getting lot of free booze (and water!) is one of them. Thanks guys! 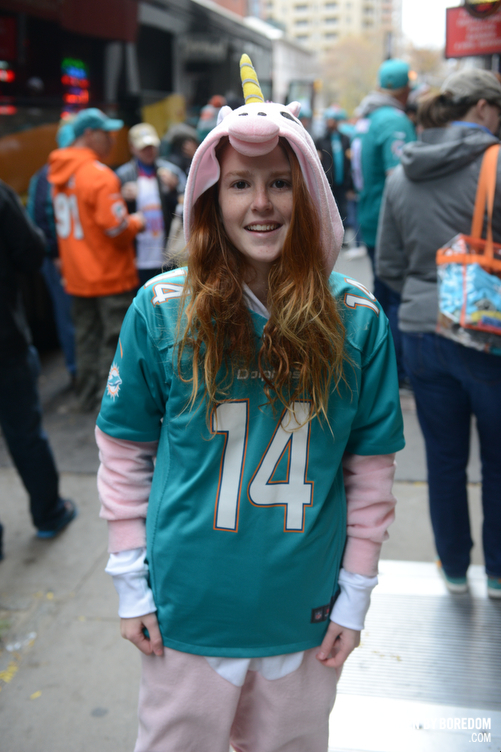 Now click here to see all the photos from the 2015 Dolfans NYC #MetLifeTakeover and Pre-party!